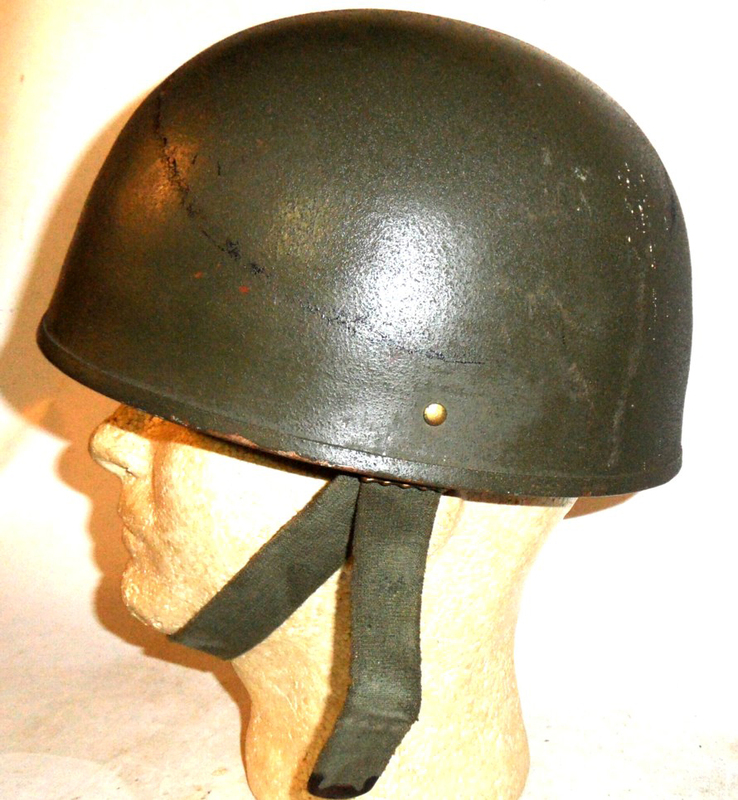 In 1948 the Department of National Defence issued a requirement for a tank helmet that would: offer protection from rifle and machine gun bullets and mortar fragments; come in three sizes; was as compact as possible; allowed use of head-sets, and; had a detachable liner made of non-conducting material. 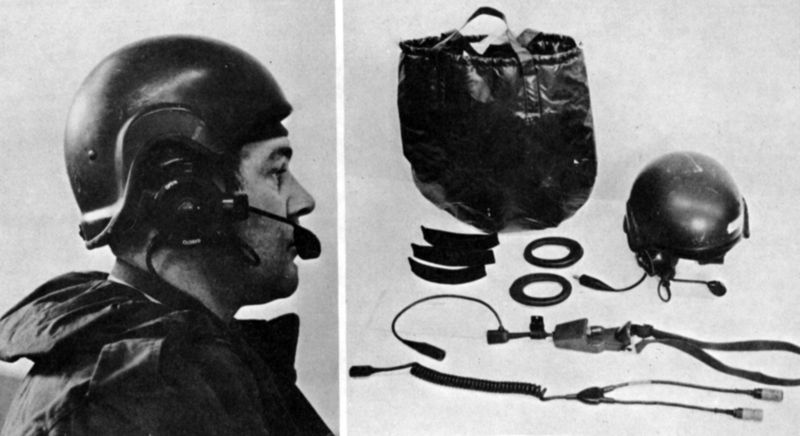 The USA was working a one-type-fits all helmet for ground troops, parachutists and AFV crews. Their efforts were monitored with great interest, but no satisfactory design emerged. 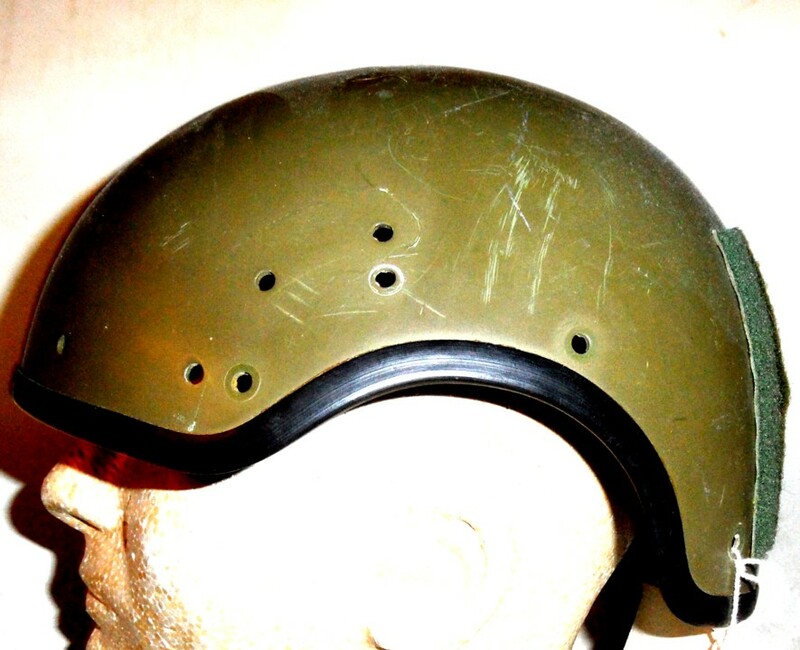 The old cork Helmet, Crash, Tank Battalion soldiered on, and quantities of the British Helmet Steel RAC, Mk.II was procured and issued in the 1950s under the designation Helmet, Soldier’s Steel, RCAC. This was essentially the same as the war time RAC steel helmet but had the same type of removable lining as used on the British Mk.IV infantry helmet. In 1959, the RCAC identified a need for a more modern tank helmet. In 1966, following unification, Canadian Forces HQ tasked Mobile Command to draw up a list of requirements for a CVC helmet. The Directorate of Armour came up with the usual list of seemingly irreconcilable elements including: shock and bump protection, ballistic protection, lightness, comfortable fit, quick-release ability, compatibility with existing communications equipment, not water absorbent, no reflective surface and – this being Canada – a cold weather liner suitable down to -30F (-65 when worn with a parka). In the end it was decided to defer any decision until a replacement for the Centurion tank was found. 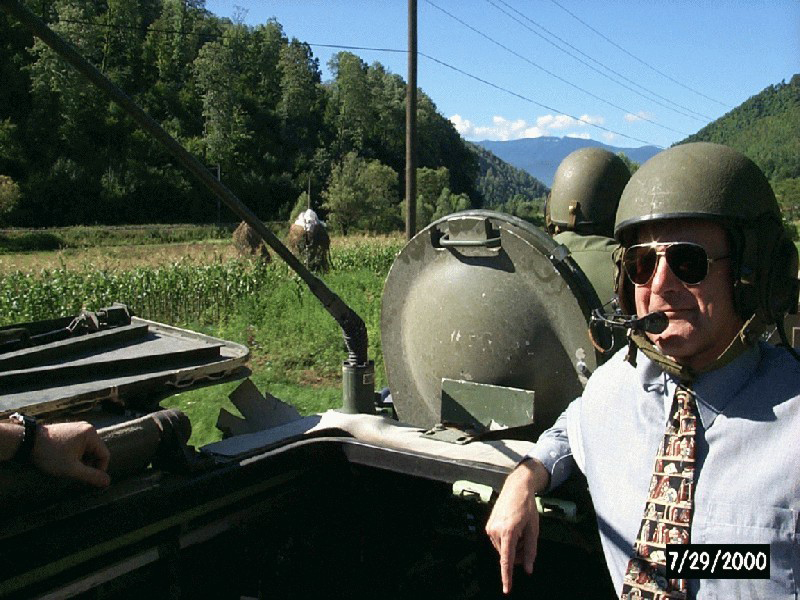 That said, the later 1960s saw limited procurement of the US CVC helmet, for use with the M113 APC, which had supplanted the abandoned Bobcat. 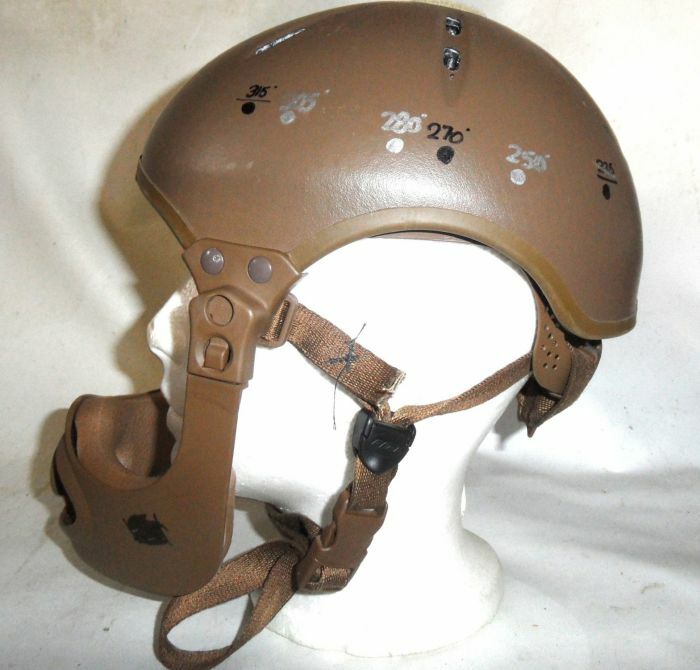 In the 1970s, the US firm Gentex introduced a much improved AFV helmet, the DH-132, made of with a fibreglass hard shell (replaced in the 1980s by the DH 132A with a kevlar shell which provided ballistic protection). This was attached by Velcro to a thick neoprene rubber liner which held communications and sound attenuation equipment. This helmet replaced the CVC helmet for M-113 and LAV crews. With the adoption of the Leopard tank in the early 1970s, Canada adopted a variant, the Gentex DH-169 helmet, which differs from the standard DH-132 pattern by having a two piece skull and brow guard, to allow better access to the Leopard’s weapons sights. It came equipped with an ambient noise pick-up which allows conversation, while it is being worn, but protects the user from sudden noise by cutting out at 85 db. In the 1980s a Kevlar shelled version, the DH-169A which offered more ballistic protection was introduced. 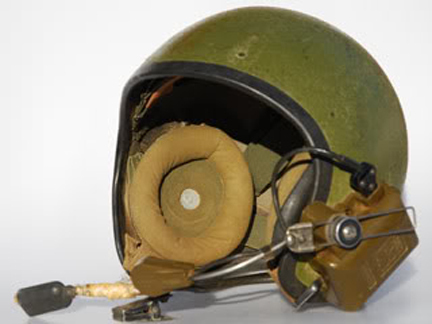 With the introduction of CG634, (see Canada’s Search for a Composite Helmet) tests were undertaken between 18 November-17 December 1996 with 21 soldiers from F Company, 1 RCR, who were on an AVGP driver training course, comparing the DH-169 with a prototype CG634 worn over the Racal Slimgard II headset. 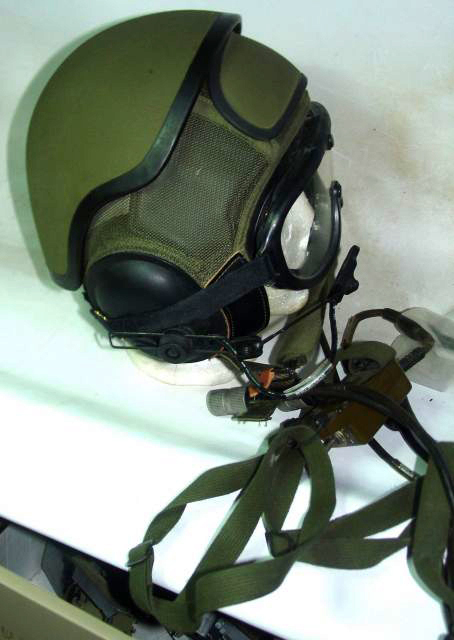 The helmet/Slimgard combination, while heavier, offered greater protection and proved more comfortable, compact and convenient (as the helmet and head-set could be worn separately) and was less subject to ambient noise than the DH-169. The combination of helmet and headset also proved more durable and was rated by the soldiers as looking more professional, soldierly and “high-tech”. Since then, this combination, while viewed as an interim solution, has seen frequent use in the field, including combat conditions. 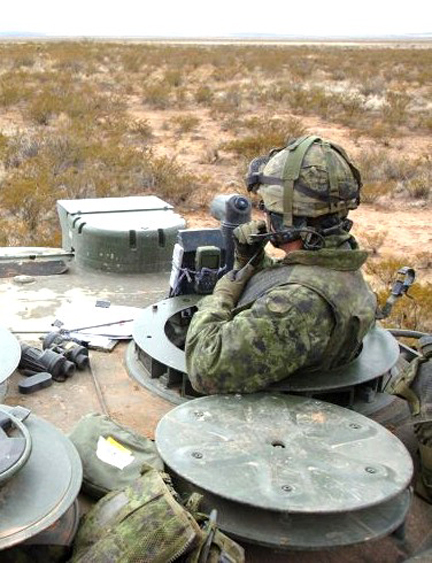 Concurrent with plans to adopt a new suite of communications equipment using the Tactical Command Control and Communication System (TCCCS) communications headset, the Canadian Forces began work to develop a AFV helmet, the Combat Vehicle Crew Modular Helmet. According the to the DND website, its critical requirements are to achieve compatibility with the TCCCS and to improve ballistic protection. Increased “head and facial impact protection, enhanced comfort, vehicle gun-sighting access, and reduced weight are all improvements sought in the design concept.” Other aims of the project included: improved impact protection to the head; reduction of helmet weight during training and tactical hatches down conditions, without loss of impact protection; integrated maxilla‑facial protection; modularity to address diverse vehicular positions; and interchangeability with multiple communications headsets. 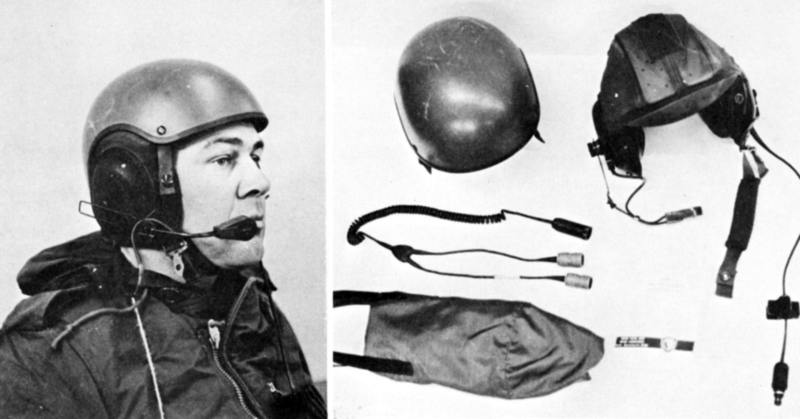 Ballistic protection was to be equivalent to the CG634 helmet. 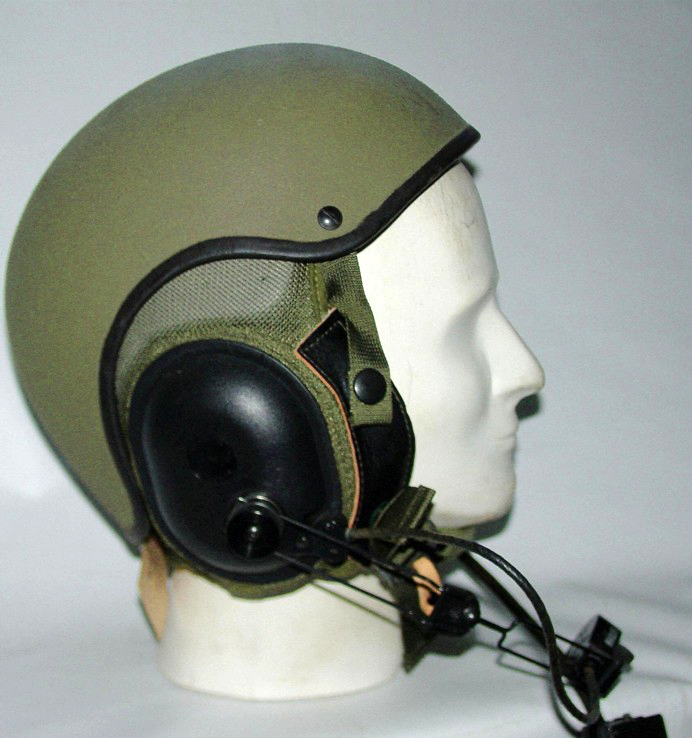 Off-the-shelf British modular combat vehicle helmets produced by Racal and Courtaulds Aerospace were tested as part of this project, and the VTH shell of a Racal Ventilated Combat Vehicle Crewman’s Helmet was used as the basis for the prototype, which does indeed include a prominent, but detachable, jaw guard. A contract worth $3.9 million was awarded on 27 January, 2010 to a Quebec company Louis Garneau Sports Inc., for the production of the Combat Vehicle Crew Modular Helmet. Its introduction into service began in 2011.